Get our housing newsletter sent to your inbox each week. Welcome to the HuffPost Housing Newsletter. This week's newsletter is written by Ron Nurwisah, who dreams of living on a boat but only if T-Pain gets to come along. Once in a while we need a reminder that housing stories aren't just about statistics and dollar signs; they're often about individuals trying to find a home. This week, Flare magazine interviewed 10 young Canadians about the housing crisis. One thing became very clear: it's not just about money. Affordability is, of course, a key reason why it's harder and harder to find places to live in cities like Vancouver and Toronto. 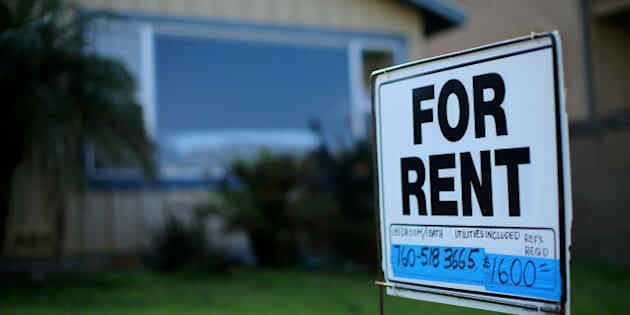 In these two cities rental vacancy rates hover just above 1.5 per cent. Finding a place to rent in these two cities can be challenging under ideal conditions. Add one of the many forms of discrimination and apartment hunting can become a downright degrading experience. One woman spoke about the discrimination that young Muslims face trying to find housing; Skylar, a queer Torontonian, spoke about not going to viewings alone in case a landlord is homophobic or transphobic; a young woman in Vancouver talks about the blatant sexual harassment she's faced while apartment hunting. Sadly, there's very little that can be done if you're an apartment hunter who's faced discrimination. In Ontario, the Human Rights Tribunal has handled these cases since 2008. But they admit that many cases simply don't get reported and a lot of them would be tough to prove because it's a landlord's word against a potential tenant. If you're a landlord, know what your responsibilities are, don't discriminate in your rental postings or selection process. Put yourself in the shoes of a potential tenant. Know that finding a new home is a difficult thing to do in an overheated market. It shouldn't have to be soul-crushing too. Have any comments, questions, or stories to share about Canada's wild and woolly housing market? Share them with us. Want The Home Stretch sent to your inbox weekly? Sign up here. "One potential landlord offered cheaper rent if I conceded to giving him weekly blowjobs. I didn’t." Get The Home Stretch, our weekly digest of news and analysis on Canada's housing market, sent to your inbox.